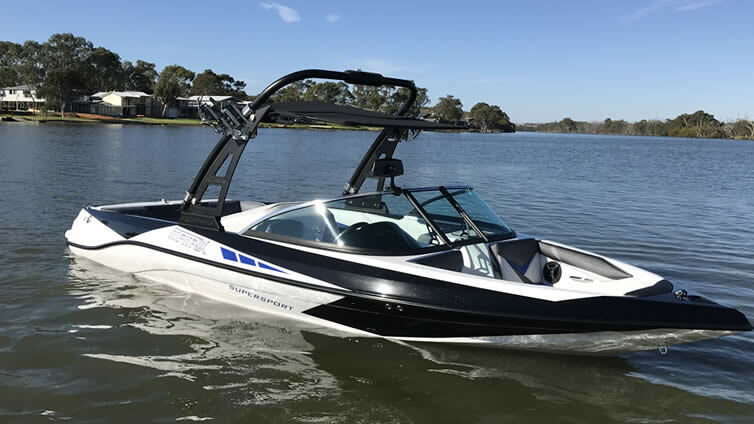 The Matrix Super Sport is available as a closed or bowrider model and is the ideal entry level ski and wake boat suitable for keen wakeboarders and water skiing, as this hull is based on the very successful Sorrento. 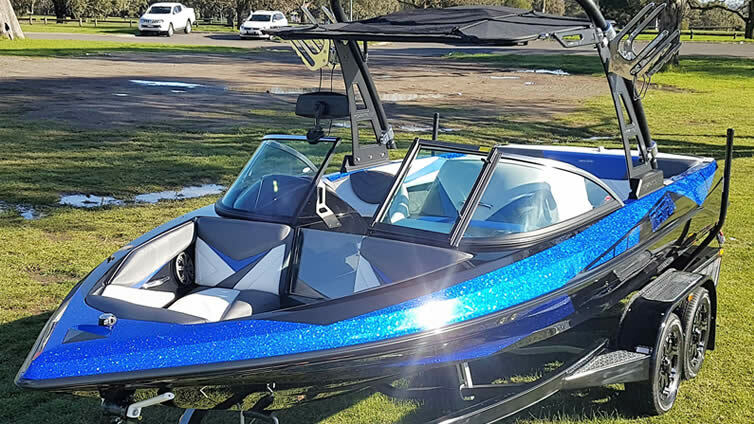 The Super Sport offers a huge amount of forward storage and interior layer is based on the Matrix Expression. 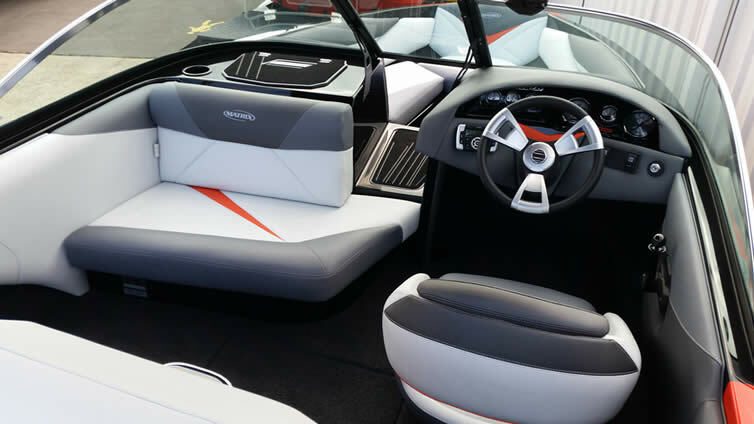 Featuring large wraparound rear seating and extended boarding platform. 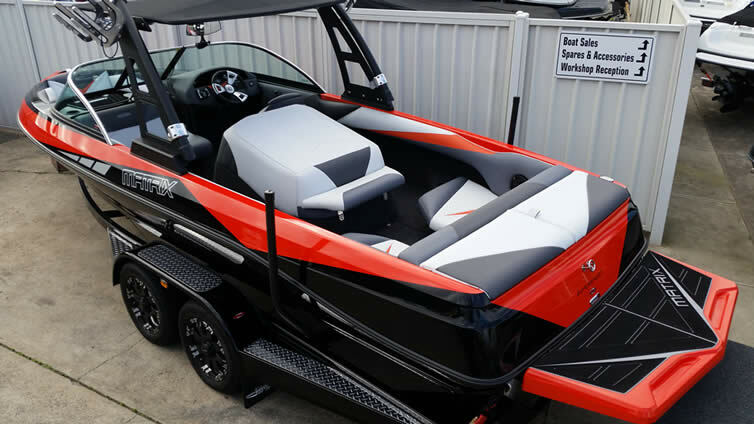 All Super Sports come packaged on Easytow tandem trailer with new Mercruiser engine with forward neutral and reverse. Packages can be customised to suit individual needs including tower, board racks, stereo, and much more.